Visitors come to Tuxtla for the outdoor adventures, the chance to rappel waterfalls and sinkholes, partake in caving, canyoning and more. Much more. Tuxtla Gutierrez, the capital city of Chiapas, is an outdoor adventure-focused destination in Mexico. Yet, truly staying adventurous involves all the senses including taste. Certainly Tuxtla provides visitors opportunity to taste plenty unique flavors and dishes with its local cuisine, but travelers can sample plenty of delicious drinks too. And when visiting, make sure that list of drinks includes these five (both alcoholic and non-alcoholic) must tastes. 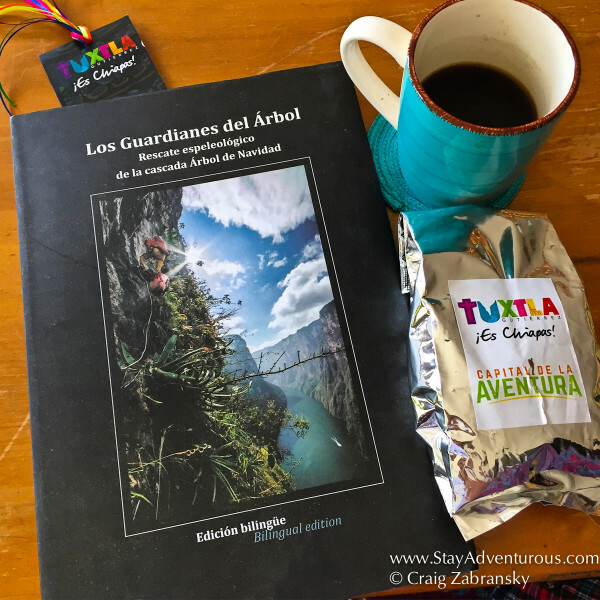 With coffee plantations so plentiful and close to Tuxtla, visitors will certainly need to enjoy the morning cup of joe. 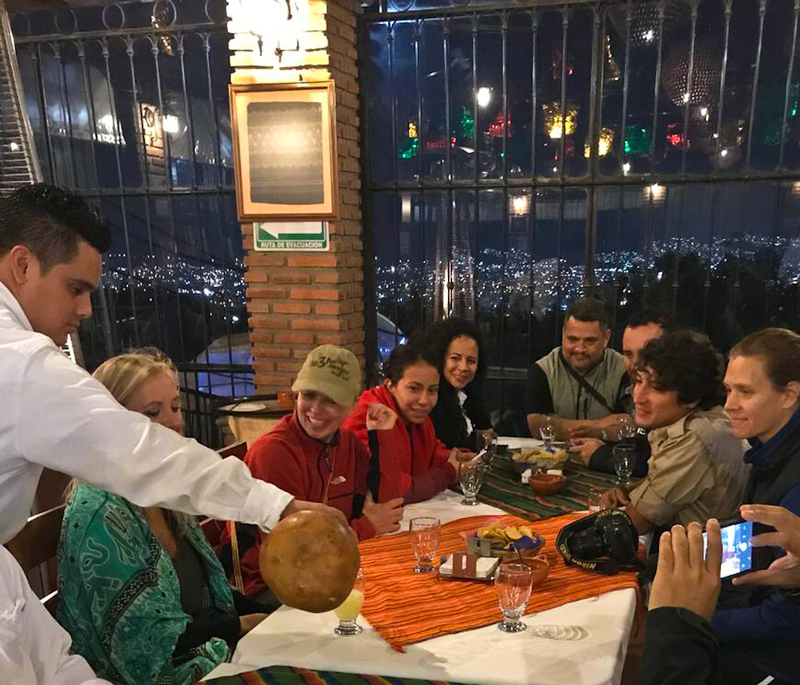 Known as the best coffee in Mexico and arguably one of the best regions in the world, sample your first cup without any milk or sugar and see if you can taste the difference. And even in you off the daily ritual (I recently gave up coffee), it may make sense to treat yourself to this goodness, especially since many of your adventure activities often kick off with an early morning start. Either way Chiapas coffee makes a great souvenir for friends, family, or even for those Sunday mornings at home. At the restaurant Las Pichanchas not only is there a chance to take in a cultural show and indulge in the authentic local cuisine, but tables can also family style-share cocktails. Hollowed gourds filled with a pineapple cocktail come to the table with excitement when a “Pumpo” is ordered. Waiters celebrate and scream “ Sale un Pumpo,” then ring a bell as containers are delivered to tables inside the restaurant. Inside the fresh pineapple juice is blended with vodka (not pineapple’s typical Caribbean partner rum or the Mexican classic Tequila) along with mineral water to create frozen refreshment that makes you all cheer for more! Sale un Pumpo! Made from fruit fermentation using the regional nanchi and jocote, Mistela is sweet sipping liquor that apparently may or may not provide special dancing ability to those who imbibe. 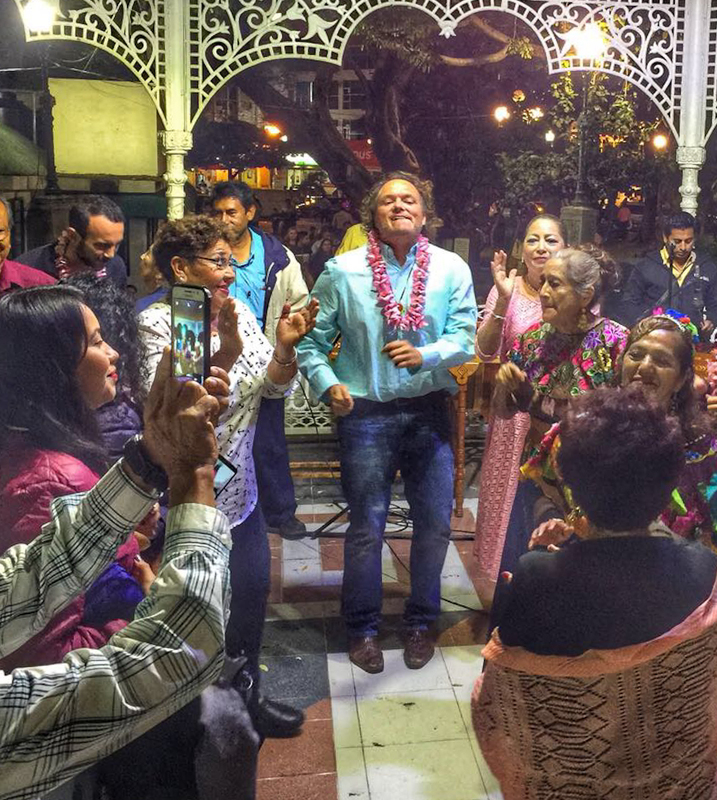 One evening when visiting Parque de la Marimba in Tuxtla, the generous “welcoming committee” of local provided us with plenty of pours of this sweet sensation as we danced to the live music in the square. Marimba Square apparently never takes a night off with local families or romantic couples out to socialize in the main plaza. Definitely a must visit when taking in the adventures available in Tuxtla Gutierrez. I know I’ll be back and recommend the plaza for everyone who visits. 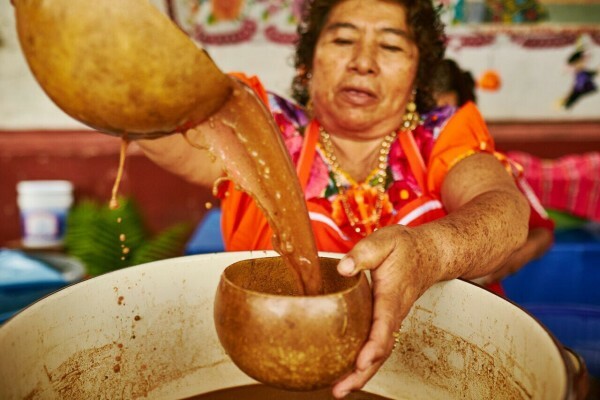 For the local indigenous, Pozol represents a drink of the gods dating back to pre-Hispanic times during the rituals of the Mayas, Chiapanecos, and Zoques. Now much more commonplace, the beverage is served and offered to all classes and makes for a perfect refreshment after an adventure. Derived largely from corn and cacao (unsweetened) and then grinded to a powder, the mixture is then dissolved in water and ice. a big pour of Pozol. Also, packages are available in local markets for sale. 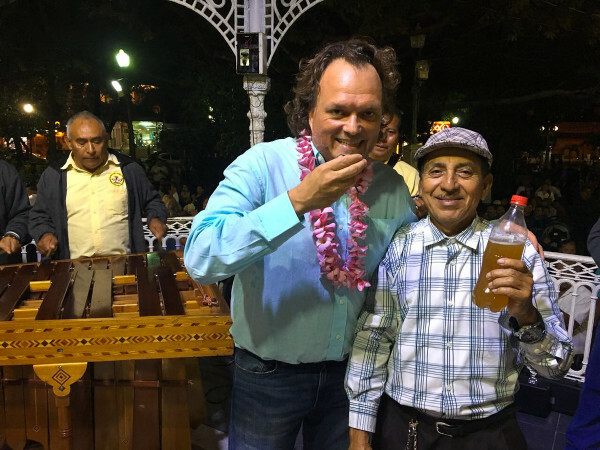 The craft beer craze continues to be popular in Mexico with good reason and after a Chiapas sunset when entertaining a night on the town in Tuxtla a beer is perfect way to end the day (or begin the night). Local menus will include more beer options than the popular Mexican beer you know from their commercials. 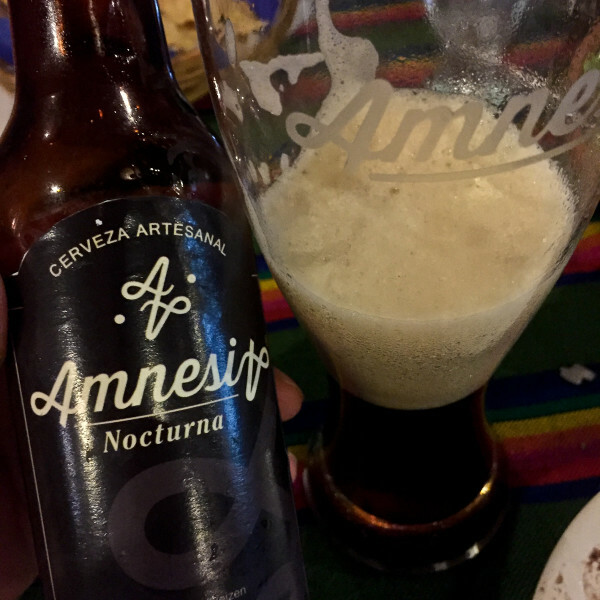 One local beer crafted in Chiapas, Nocturna, was from the “Amnesia” family of beer. I suppose it is what you want to drink when you plan to forget the night? Or forget something that night? Well, I haven’t forgotten this beer and the few others I did try in Chiapas. 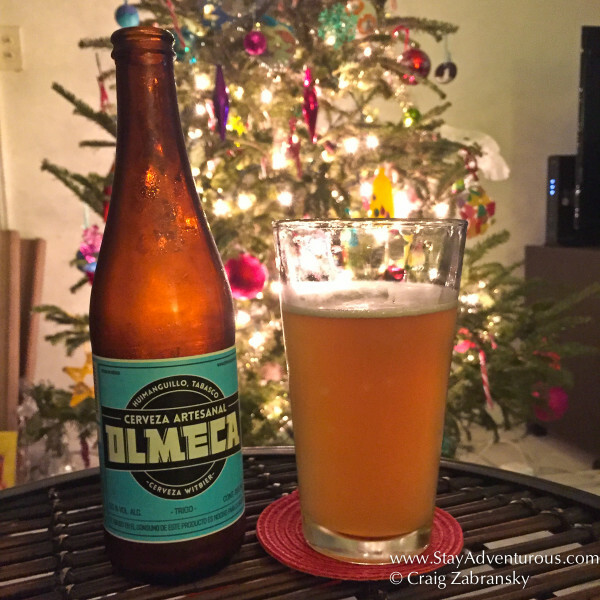 Another favorite was the Olmeca family of craft beers brewed in neighboring Tabasco. I even imported one back to the states for the holidays. 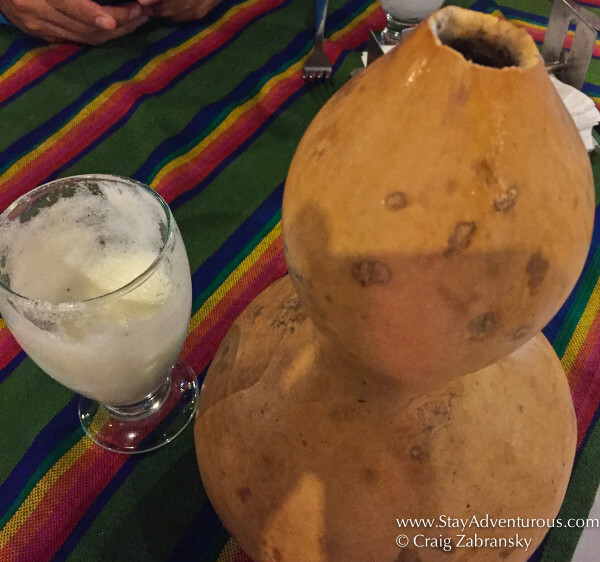 So as you can see, you have quite a few unique drinks to taste on your next adventure to Tuxtla. Enjoy them all, I certainly did. Special thanks to Tuxtla Tourism for hosting my return to Chiapas and providing the photo of Pozol. As always the thoughts and opinions crafted here are my own.